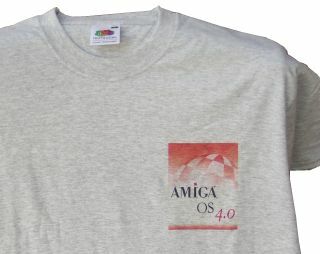 Heather grey T-Shirt with AmigaOS 4.0 logo, 100% cotton. Available sizes: M, L, XL, XXL. 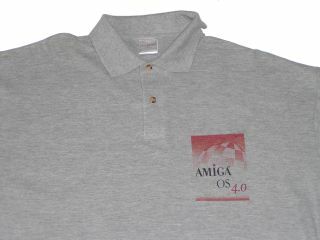 Heather grey Stedman Polo shirt with AmigaOS 4.0 Logo, 85% cotton, two buttons. Available sizes: M, L, XL, XXL. Please enter the size needed (via 'Configure item') unless you want to order the standard size XL. Red-white coloured baseball cap with AmigaOS 4.0 logo. Red baseball cap with AmigaOne logo, finest cotton qualitiy. There are 4 variations of this product available, please make your choice from the product list. 2 items can also be configured to your needs, please use the "Configure Item" link below the product text to do so.